IMPORTANT INFORMATION – FOR THE 2019 SEASON HOTEL ACCOMMODATION MUST BE BOOKED AND TOUR MEMBERS MUST COMPLETE AN EVENT ENTRY FORM AT LEAST 1 MONTH BEFORE EACH EVENT, THEREFORE IT WILL NOT BE POSSIBLE TO BOOK VENUE HOTEL ACCOMMODATION FOR THIS EVENT AFTER 30TH APRIL 2019 AND A £30 SUPPLEMENT WILL BE PAYABLE UPON REGISTRATION AT THE EVENT. If you are not a member of GB9 and wish to enter this as a single event then your entry form must be received by Midnight on 28th May 2019 – No entries will be accepted after then. Please also be aware that due to the limited availability of rooms allocated to GB9 hotel accommodation must be booked before 30th April for all event entrants wherever possible. All GB9 members must complete an event entry form before 30 April 2019. If you wish to enter the event, please complete an entry form, selecting the appropriate category. You will automatically be entered into the event on a first come, first serve basis and will be notified if there are insufficient spaces. Final entries are required no later than midnight on 28 May 2018. If you have already submitted your entry form and now wish to pay your fee, details can be found on the payment page. There will be no players meeting at this event. If any player would like to discuss any aspect of the tour please approach the Tour Chairperson (Adam Stevens) or any member of the GB9 committee. It is a condition of entry that all players stay at the hotel venue on the Friday and Saturday night. Choice of accommodation is on a first-come-first-served basis and with a limited number of twin rooms available so we strongly advise players to enter early. Rooms are priced at the preferential rate of £39 pppn shared occupancy or £61 pppn single occupancy, including breakfast and use of all hotel facilities. The hotel may require a valid debit/credit card to secure booking but no money will be taken until check-in. Cancellation can be made up to 24 hours before the first night. Telford is situated around 80km from Birmingham International Airport and around 130km from Manchester International Airport. Both are served by numerous flights from across Europe. Car hire facilities are available at airport arrivals. Trains run direct from Birmingham International to Telford Central (see below), those taking the train from Manchester International Airport need to go via Manchester Piccadilly and then Shrewsbury to connect to Telford Central (see below). Telford Central railway station is situated on the line between Birmingham and North Wales. It is served by two trains an hour from Birmingham and two trains an hour from Shrewsbury. Passengers from the south and east should take services towards Birmingham New Street and change for services towards Telford Central. Passengers from the north should take services towards Manchester Piccadilly, change for services towards Shrewsbury and change again for services towards Telford Central. Upon arriving at Telford Central, make your way into the enclosed passenger walkway taking you over the A442. When you leave the walkway, bear right onto Ironmasters Way. At the end of the road bear right again onto Forge Gate and the hotel is immediately on your right. 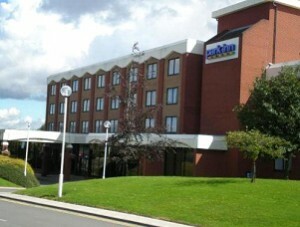 The Telford Centre Hotel is situated directly adjacent to Junction 5 of the M54 motorway which joins the M6 motorway between junctions 10 & 11. Upon leaving the motorway you will meet Forge Roundabout. Make your way down Forge Gate and the hotel is immediately on your left. Tour players must ensure all membership fees are be paid up to date before the start of play at this event (Single entry players see details above). You may pay in cash at the event but in order to speed up the registration process prior to the start of play we would prefer you to pay in advance via bank transfer, PayPal or cheque. We also accept all major credit cards at the event (subject to a 3% surcharge). If paying by bank transfer or PayPal you must be sure this reaches us the day before the event. Payments by cheque must arrive 10 days prior. Failure to observe these deadlines could result in you being asked to pay in cash or by credit card (with 3% surcharge) at the event, or forfeit your match. Failure to pay the installments due will result in you being refused entry to this and any subsequent events until arrears are paid. There will be absolutely no exceptions and fees must be paid up to date prior to the start of play. Saturday – Main Event continues from 09:00. Challenge events are drawn and start in the afternoon. Sunday – Challenge events continue at 09:00 until a finish. 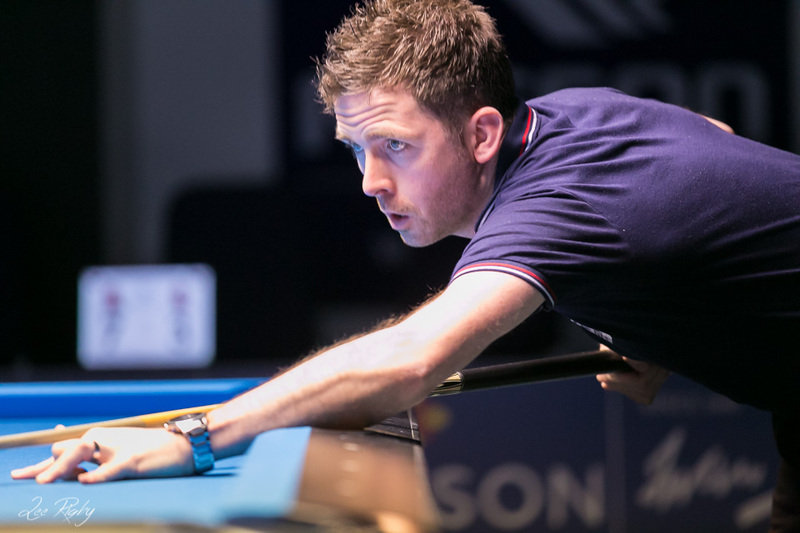 Start times for each player will published at approximately 9pm on the Wednesday prior to the event. The draw will be displayed on the notice board in the venue 1 hour before the start of play on the Friday afternoon and on our live scoring site shortly after play has begun. Please note: The Challenge event draw will be done at the venue on Saturday afternoon once the double elimination stage of the main event has been completed. Please remember you must register at the tournament desk before your first match. You will need to ensure any outstanding member fees are paid and if they are not then your registration will not be accepted and your match will be forfeited. 1 x Rasson Victory II Plus table & 15 x SAM Professional Pool Tables customised specifically for GB9 featuring a single slate with Artemis cushions, Andy Cloth and Cyclops Hyperion TV Balls. Spectators are welcome to attend any GB9 event and admittance is completely free. You do not need a ticket just come down to the venue and enjoy some world class pool action. If you wish to stay at the hotel venue then you are welcome to book a room at the special GB9 rate by calling the hotel direct on +44 (0)1952 217 680 (ask for reservations), Mon-Fri between 9am-5pm. Quote GB9 Tour. The hotel will require a valid debit/credit card to secure booking but no money will be taken until check-in. Cancellation can be made up to 24 hours before the first night. 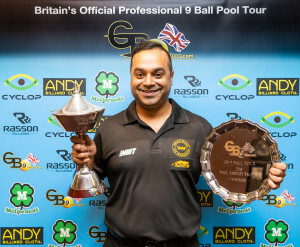 In 2019 GB9 is proudly sponsored by Rasson Billiards, Cyclop Balls, McDermott Cues and Andy Cloth, making the perfect combination of the very best equipment in the most outstanding venues.